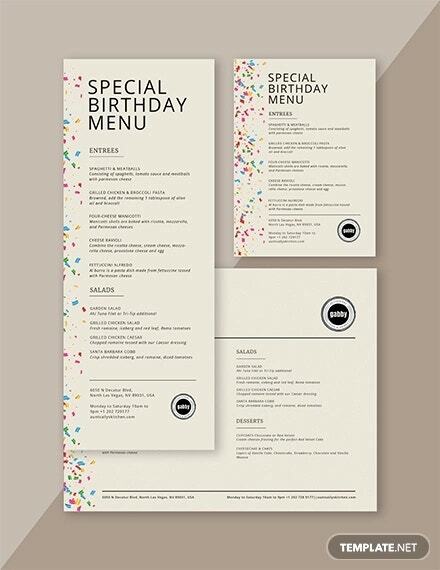 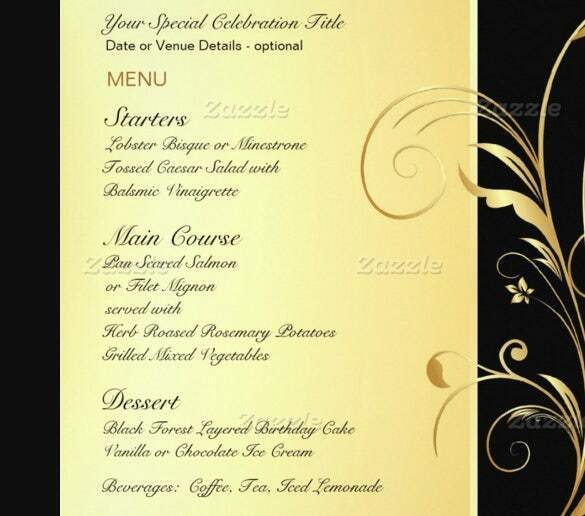 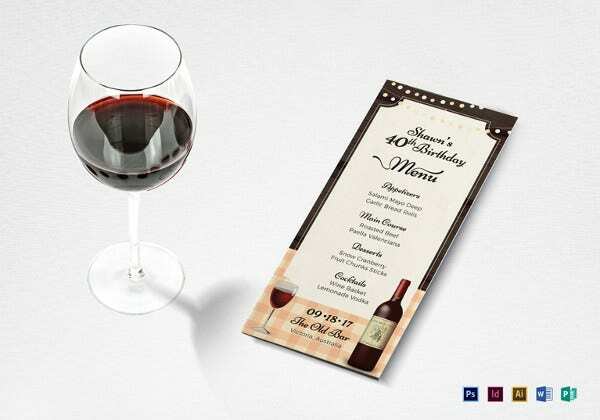 If you are having a classy and luxurious birthday party, you need to display the birthday menu for the guests. 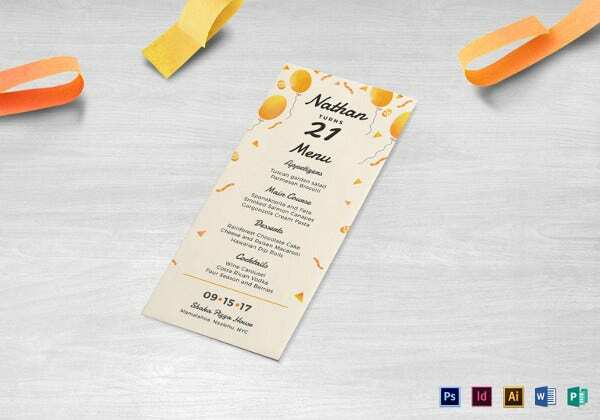 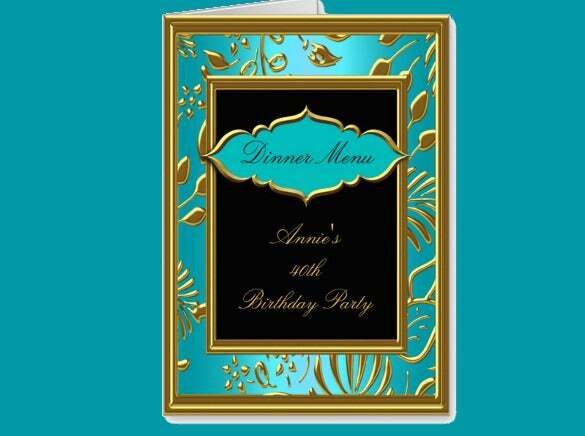 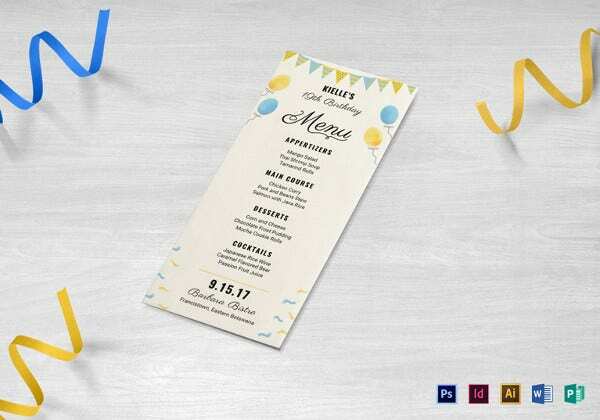 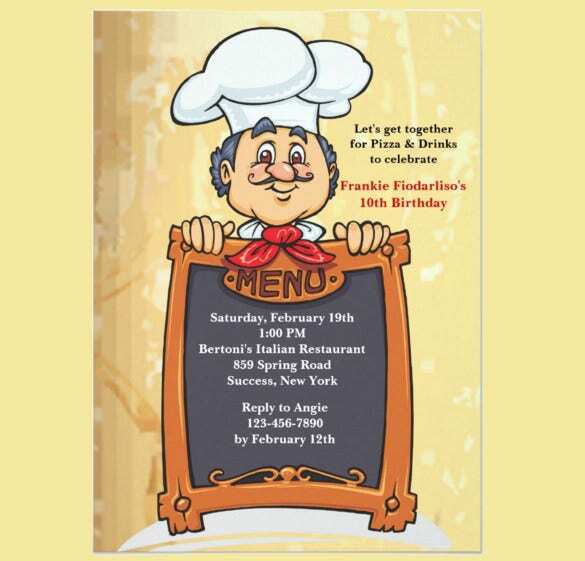 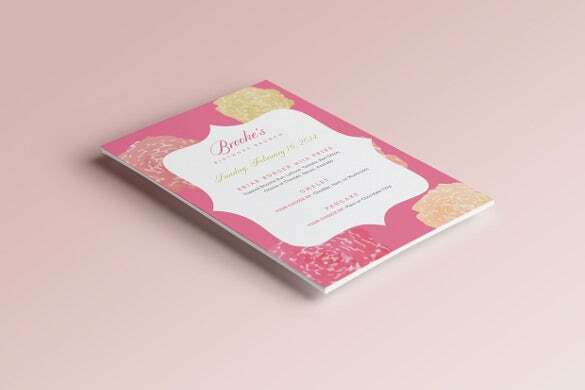 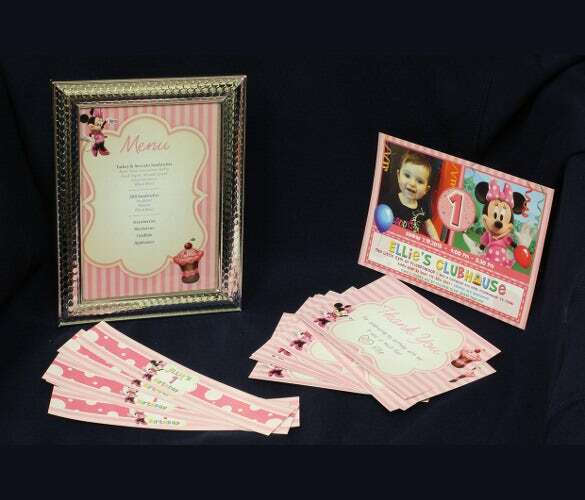 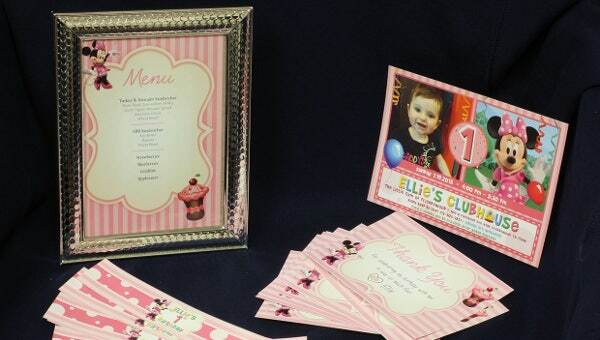 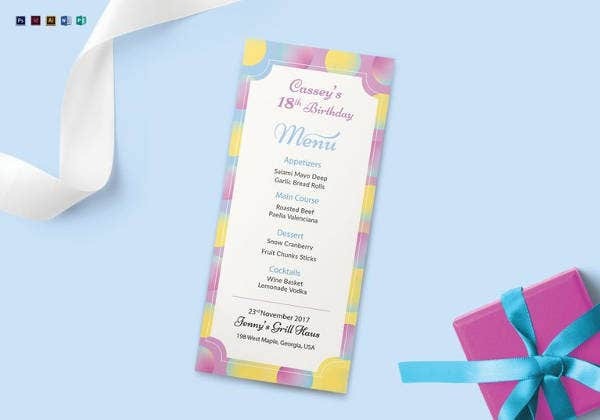 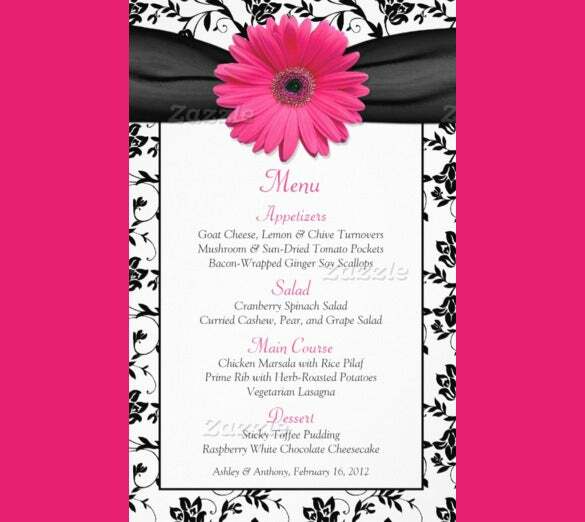 Our sample birthday menu templates come in several formats, colors, and backgrounds. 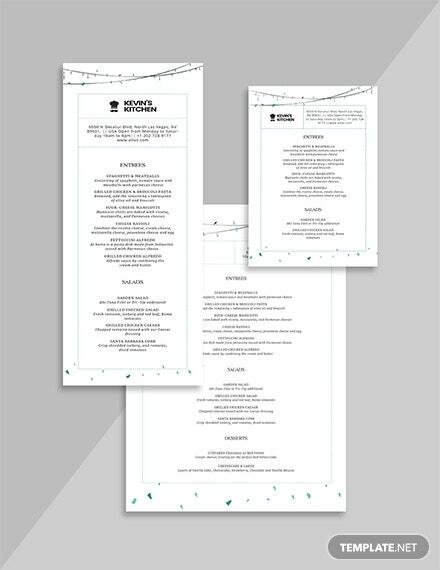 You can edit the example template to add a separate vegetarian and non-vegetarian menu. 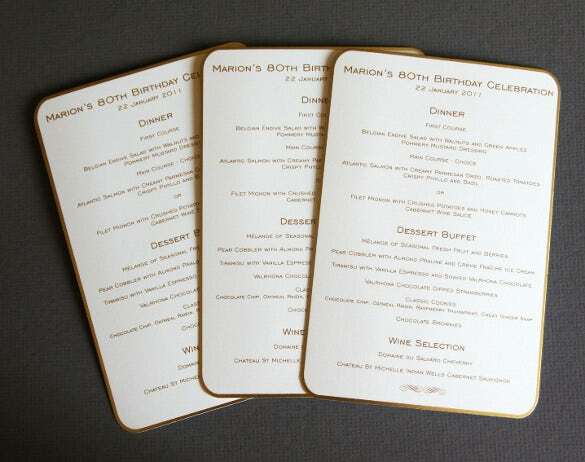 You can also see Birthday Menu cards. 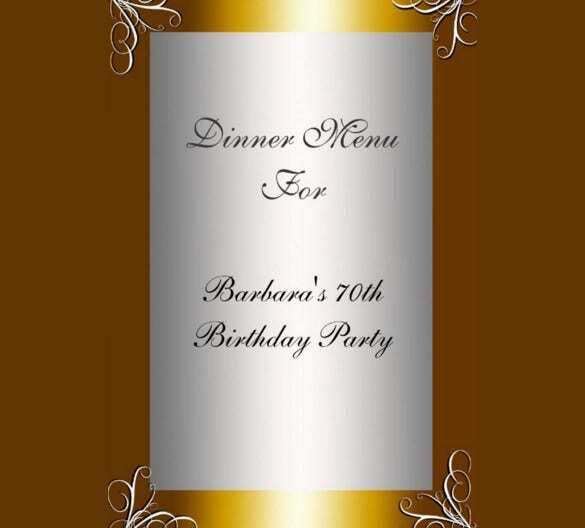 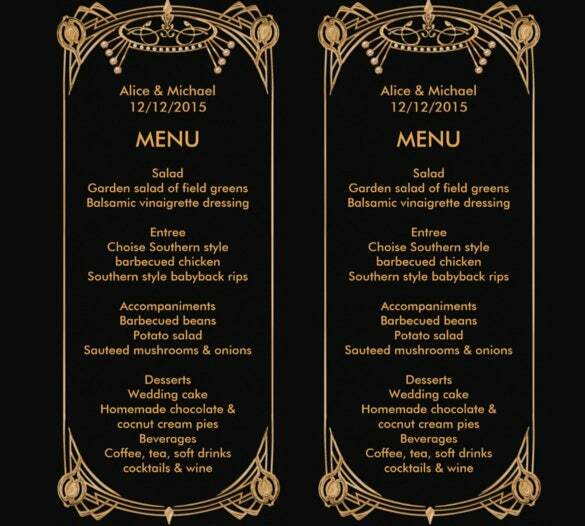 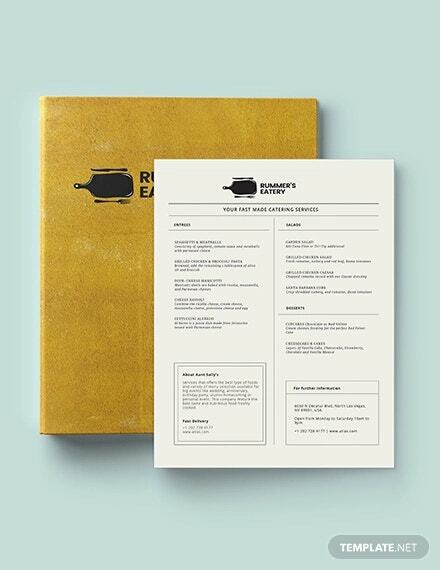 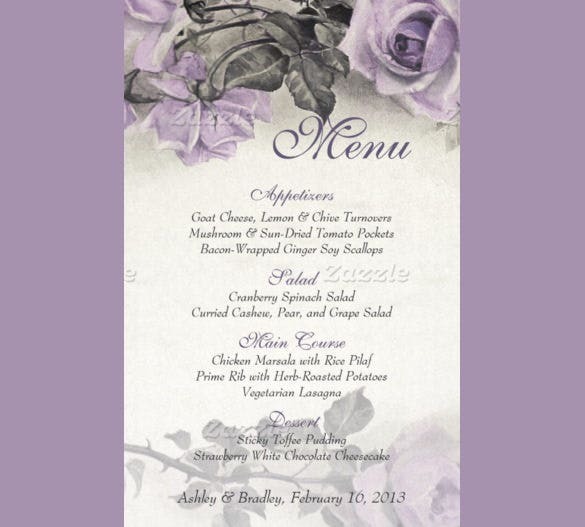 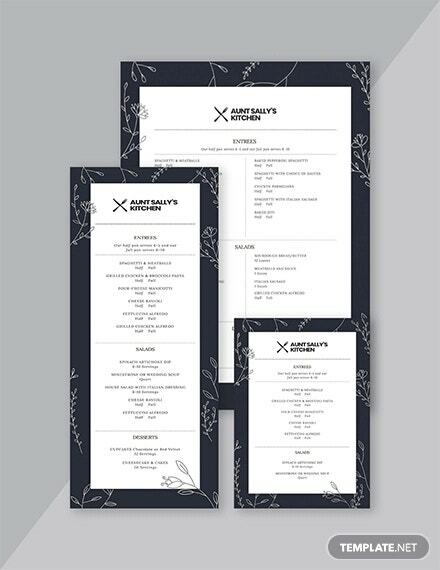 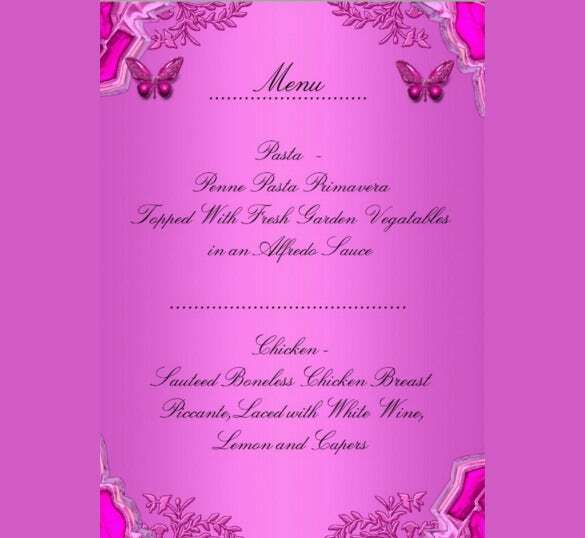 The menu can be emailed to your caterers and can also be printed out to display on the day of the party. 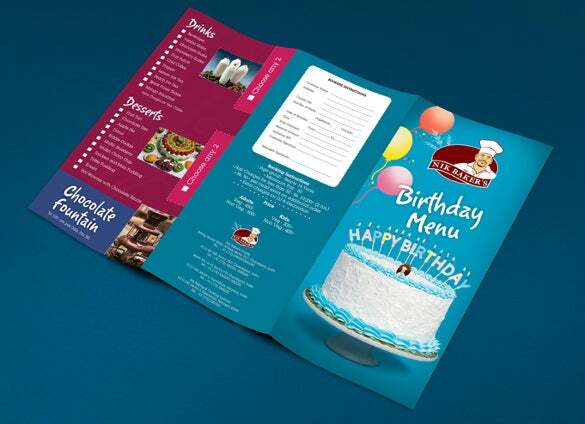 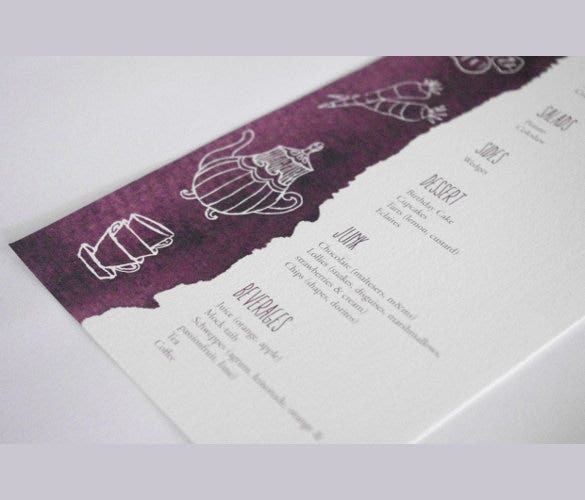 From classy menus to fun and vibrant ones, there is something to suit parties of all themes and styles. 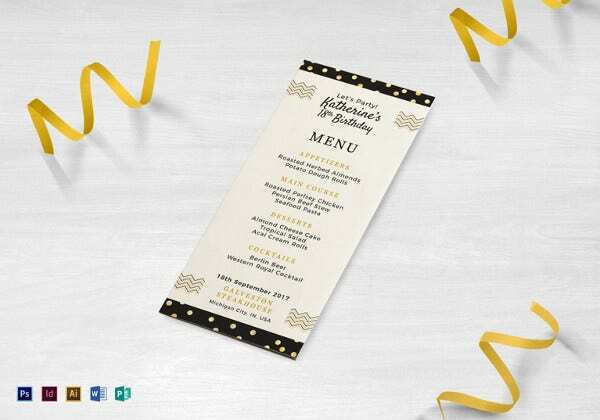 Easy to print, download and customize, These Birthday Templates make birthday planning and management easy for you.